At these events, many ideas were circulated as to what constitutes a good mentor, focusing especially on preparing graduate students and postdocs for multiple career paths. These events also touched on the importance of mental health awareness and kindness in academia, to create a positive environment in which trainees can pursue their work. One important idea emerging from these events is the concept of “mentoring up,” whereby mentees are empowered to play a more active role in their own mentoring. Mentees can shape their own training and career preparation by seeking mentors that best fit their needs and by asking for the advice and training resources necessary to achieve their goals. While this is largely an individual preference, we would like to offer some general guidelines in terms of how trainees can go about finding mentors who will help them succeed. Know yourself and what you are looking for. The same type of mentor won’t work for everyone. Assessing your own needs and goals first will make it easier to choose the best mentor. Drafting a list of your own needs and goals, as wells as the qualities you want in a mentor is a good place to start. If you are independent and like to do experiments without interference, finding a more “hands-off” mentor might be a good idea. If you are interested in non-academic career development activities, look for mentors who have trained scientists who entered these positions or who allow their students to pursue extracurricular activities in addition to their research. If you’ve had past mentors you liked, think about which qualities you appreciated in them and look for those again. For example, faculty members who have previously won mentor awards at the university may be a good place to start. Don’t be fooled by “flashy” science. An excellent publication record does not always correlate with exceptional mentorship. While the scientific reputation of lab matters (especially if you are planning on an academic career), a good mentor can help you achieve your goals regardless of the type of science performed in their lab. Discuss expectations with the faculty member one-on-one before you consider joining their lab. Importantly, consider that sometimes a less flashy lab with more one-on-one time or a more focused mentor may be better for your training and career in the long term. Talk to different types of people. Ask current and former lab members about their experience in the lab. Do this while going out for coffee (i.e., outside of the lab setting) as they may not be willing to tell you everything while you are “touring” the lab itself. Be sure to talk to lots of different people in the lab—grad students, postdocs, technicians, etc. (and not just the “star” students). Ask how supportive the faculty member has been of their professional goals while in the lab, and about the transitions of lab members into their own labs and independent research careers. During these meetings, don’t be afraid to ask straightforward questions such as: “How much one-on-one time do you get with your advisor?” “Do they support you if you are not interested in an academic career?” “Is the advisor approachable and available if you have a question or difficulty with an experiment?” The more direct the question, the more information you will receive to help you decide if this particular mentor is the right fit. Also talk to your current PI and other PIs about the lab you are interested in, as they might have additional useful insights. Research the lab thoroughly. What you look for in a lab will depend on your goals.If you are drawn to an academic career, find out more about the current positions of lab alumni. If your goal is to have a career in science communication (or another non-academic career), look into how much time that particular faculty member allows trainees to spend outside of the lab to fulfill non-academic goals. It is also important to get a feel for the lab environment while you are there. Sometimes your gut feeling will indicate whether this is the best environment for you. Learn more about the lab culture. Find out whether the faculty member expects you to work 24/7 or whether they are receptive to you having a family (if that is one of your personal goals) or gaining experience outside of the lab that is relevant to your career goals. Is the faculty member likely to be supportive of your progress and will they take the time to train you (in writing grants, papers, preparing seminar talks, etc. )—or do they just want things done? Does the lab have any outside activities to foster the feeling of a family, or is it a setting where only publications matter? Look for these qualities in a mentor. In general, a mentor should be someone who considers you a colleague, and who will listen and help you achieve your own career goals even if these conflict with their own ideas for you. It should be someone you can talk to openly about your ideas, and someone who will celebrate your successes and mitigate your fears. 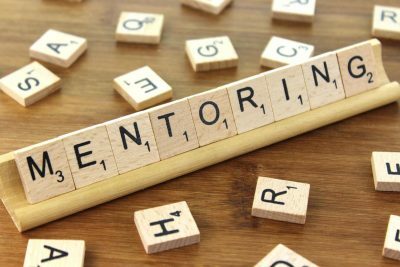 Mentors should help you in achieving skills away from the bench, such as networking, your job search, as well as particular research skills (grant writing, delivering presentations, etc.). Many good mentors are also willing to be mentored themselves and understand that there is always room for improvement in training others. Importantly, a mentor should be someone who is a champion for you and your goals. Seek many types of mentors. Having multiple types of mentors—both in and outside of an academic setting—can be valuable, especially as your needs may change over time. If you are looking for a non-academic career, having a mentor in the area that you want to move into will be critical. In addition to your PI, additional faculty in your department or institution can serve as mentors to fulfill other needs or provide different perspectives. Since peers can also act as mentors, be sure to seek a lab environment where this practice is encouraged. It’s important to consider mentors who will bring a different set of experiences and qualifications. You may want to seek mentors who have a similar background to you (culturally, academically, socially, etc.) in order to relate to your experience. However, it’s also wise to seek mentors with different skill sets and perspectives. Engaging in activities outside of the lab is also a good way to discover your interests and gain mentors in other fields. You can find mentors in your department or institution, at career development workshops, or at local or national conferences. Be a mentor yourself. Mentoring undergraduate students in the lab—or your lab peers— can be useful for discovering your own mentoring style and needs. This experience will also be useful in the future, especially if you plan on becoming a faculty member. Many trainees don’t realize that they have probably already mentored someone during their training, whether it was reading over a manuscript submission, helping someone learn a new technique, or listening to them practice presentations and giving feedback. Furthermore, mentees are in the position to also mentor their mentors—this can be achieved by letting your mentors know your needs and career aspirations, so that mentors can shape their style of training toward the needs of the people in their lab. Take these steps if it doesn’t work out. There are different mentoring styles, and people need different styles at different times. It’s possible that a specific type of lab environment and mentoring style may not work for you. If you find that to be the case it’s ok to discuss options with your mentor at that point and find a suitable alternative. Begin these types of difficult conversations with honesty and respect, and do so early on in the process when the problem first arises. Then use those negative experiences to shape the qualities to look for in your next mentor. Sometime, trial and error is important in the process of finding the right mentor. This is why having many types of mentors is important; you can rely on them for help and discussions when things aren’t working out with your current lab mentor. In addition, many institutions have ombudsman offices if you wish to raise issues and remain anonymous. Finally, don’t hesitate to seek therapy if your mental health is at risk. Do you have any additional advice on how to find a good mentor? What has or has not worked for you in the past when it comes to finding good mentors? Share your story in the comments!